I read an interesting question on Social Sound Design this morning. It asked whether selling a sound effects library on your own website was viable. Would one pack be downloaded ten, 100, or 500 times? I added a few thoughts of my own, and shared my experience selling sound effects on the Web. At the end of the post, I mentioned that recording rare sound effects with reflection and effort give a sound library an advantage. I thought about this last bit as I grabbed my coffee later. I think there’s more to add. So, in this post I’ll answer a few questions I often hear from new field recordists. How do I build a sound effects library? Which sound effects should I record? What makes one sound effect more valuable than another? How can this help me share my sound library on the Web? I’ll share what I learned, the path I took, and some ideas how you can shape a powerful sound library of your own. One way for field recordists to begin building their sound library is by capturing foundation sound effects. “Foundation sound effects” is a term I use to describe the recordings that form the bedrock, or foundation, of your library. They are the clips that every field recordist captures at the beginning of their career. They are the subjects, props, or people immediately around you. Household sound effects: coffee makers, windows, blenders, toasters, showers, toilets. Office sound effects: computer fans, hard drives, staplers, photocopiers. City sounds: rush hour traffic, crowds. Transportation sound clips: subways, trolleys, cabs, cars. These are the sounds you’ll gather as you begin exploring the world of field recording. They are the first sound effects you’ll capture. Why? Well, they’re easy to access. They’re not as involved as arranging a car recording session, or a studio shoot with a handful of voice actors. Because of this, you’ll find yourself recording them often. You’ll collect more of them. They’re also easier to control. You can freely manipulate these props. The environment is your own, so you can unplug freezers, extinguish fluorescent lights, and so on. This means you will easily capture many rich performances. A foundation library can explode with dozens of door recordings, shop tools, or city drones. It’s a great way to beef up a sound library with little effort. At first look these clips may not seem very glamourous. After all, they’re not unique, are they? Everyone has recordings of vacuums and horn honks. Why bother recording these sounds? How does this help you build a valuable sound library? There are three reasons why beginning recording foundation sound effects is a good idea. First, they’re useful. They may seem too common to record. But that’s precisely the reason you should shoot them. If they’re common in the real world, they’ll be just as plentiful in your projects. Every film, video game, radio spot, and theatre production needs gate slams, doorbells, and dog barks. Foundation sound effects will form the chunk of your library you’ll use most commonly in your projects. They will build your repertoire. You’ll find yourself turning to these sound clips often as you work on your projects. 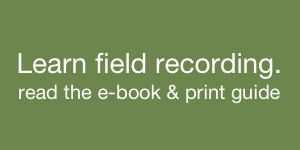 This is incredibly helpful, especially to new field recordists. The more often you use them, the more familiar they’ll become. You’ll spot quirks or problems from recording, or while mastering. This is the second benefit. Testing, sampling, recording and using foundation sound effects is the best teacher you will ever have. You’ll learn how your precise arrangement of gear interacts with props. You’ll discover how sound moves and twists in familiar environments. You’ll refine your mastering technique as you recut a damaged atmosphere. In short, you’ll discover more about your skills, and then polish them. Foundation sound effects are also easy to capture. Did that computer scanner sound odd? Perhaps your stereo pattern was too wide. It’s no problem. You can record it again in minutes. Renting that Mustang and assembling your crew to reshoot a botched car session isn’t as simple. Foundation sound effects help you learn your gear, hone your craft, and prepare yourself for more challenging sessions. The first months or year of recording foundation sound effects is exciting. It’s invigorating. 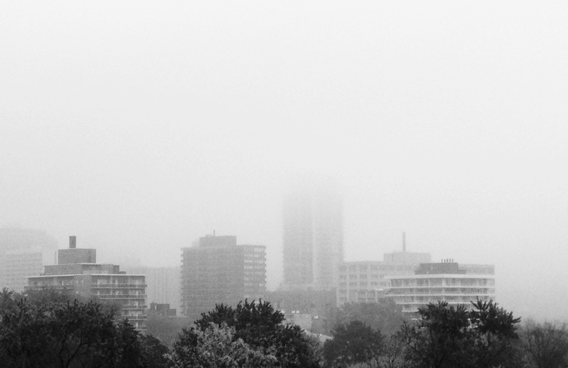 It’s a period of perceiving a familiar world in a completely different way: through sound alone. During this period you may find yourself aiming your microphone at anything that squeaks, groans, or rumbles. It’s fun. I highly recommend it. You may notice, however, that most new, successful sound libraries aren’t comprised of foundation sound effects. And those that are don’t seem compelling. Wouldn’t this seem to contradict this advice? Admittedly, foundation sound effects don’t seem particularly thrilling. Or so it seems at first. The problem is not with the subject. After all, foundation sound effects are useful, that’s clear. But yet they seem unmarketable. If that’s the case, what can you do to add value to foundation sound effects? What makes a sound effect valuable? What gives it worth? How can you capture this while field recording? Captured or performed with originality. Especially useful to a particular audience. I wrote about this earlier in “How to Take Your Sound Effects to the Next Level.” I described it as a five-pointed star. There are more details about each point there if you’d like to learn more. Does this mean that only elite recordings have value? Should you be recording only West Bank atmospheres or F1 race cars? Should you avoid all other recordings in favour or jungle cats, whale song, or nuclear power plant atmospheres? By no means. Any sound can become valuable. How? It’s a matter of perspective. You can immediately boost the value of your foundation sound effects by adding any two star points from the list above. Do you have garbage truck recordings? Try placing a microphone inside the bin as it crushes trash. That’s difficult to capture. Ask the operators to crush different kinds of trash, or work it exceptionally slowly or erratically. That will give you an original performance. Record it at 192 kHz and 24-bit. Take advantage of this high-fidelity. Pitch the squeals and groans to create new sound design elements. How about a lawnmower? Do you have recordings of it merely cutting the grass? Why not try different surfaces or new blades? If it’s expendable, try torturing the motor. Machines make incredible sounds when under stress. Experiment. Just be safe. 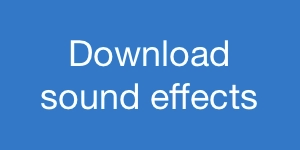 Add at least two points to give your foundation sound effects new life. This forces you to think about typical props in unusual ways. Experimentation helps your craft, and creates interesting sounds. Record a version with the cupboards, fridges, and mouse clicks as they’re ordinarily used. Those will find their way into your projects. Then record a few more takes as you experiment. The result? Your sound effects become unique. They become creative. They become something I like to call signature sound effects. The term signature sound effects is inspired from the Hollywood Edge libraries called the Signature Series. 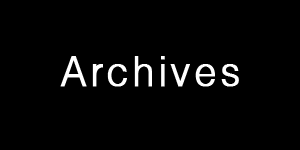 These are small CD sets of recordings from A-list field recordists. They’re really quite good. Check out the Peter Sullivan weather disc. The idea behind signature sound effects? To shape a sound library that is yours alone. It’s a personalized way of recording sound effects. It’s your field recording style. U2’s The Edge plays guitar with a distinctive delay. It’s quite different from other guitarists. He’s known for it. You can spot it, and identify it as the U2 sound. This is his signature that permeates his music. Can you do this with your sound effects? You do the same when you start to record rare and difficult sounds in a characteristic way. Perhaps you use binaural head mounts. Maybe you prefer exploring sound via contact microphones. This begins to scrawl your signature sound into your recordings. You can also invest yourself into your recordings. You can record subjects you admire, or feel passionately about. Perhaps you worked at a racetrack during college. You’ll likely know details about horses, jockeys, and betting that others would miss. Maybe you tinkered with transistor radios as a kid. Use your specialized knowledge to give your sound effects personality. Capture rare or unappreciated clips. This adds nuance and authority to your recordings. But how does it create value? How does it make your sound library appealing? Will it guarantee sales? You can certainly construct a library of splintering wood, crashing metal, or sports cars. That’s good. Many excellent libraries are built this way. The problem? It doesn’t make them unique. Why should you avoid this? Given enough time, someone can track down the same bus you recorded, buy a matching microphone, and capture a similar track. Sounds that can be duplicated that easily aren’t valuable. They’ll quickly fade into the background of the hundreds of similar sound clips uploaded every day. However, when you add more points from the star, and invest yourself into your recordings, your library becomes unique. This means your recordings can’t be replaced. They’ll be exclusive to you. What’s more, your library will carry your signature in every sound effect you record. It will be the style fans and customers crave. Your signature isn’t something that appears magically the instant you grab a microphone. It takes time, and exploration. But that’s the beauty of it. It’s an exciting journey. It may take years. But at the end of it? You’ll have cultivated a strong library of unique clips that radiates your style and passion in every project they join. 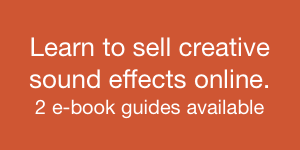 I’ve written more about building a strong library in my e-Book, Selling Creative Sound. Learn more about the e-Book, and tips on assembling a powerful sound library.